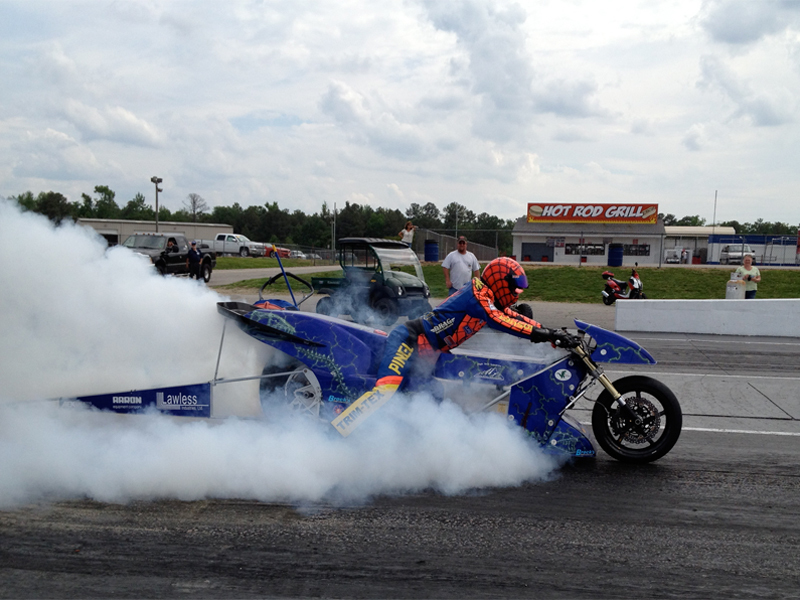 NEDRA members who have raced from 200 to 224 mph in the quarter mile. Specs: 355 volts, 14.2 kW 1340 HP lithium pack by Derek Berger, Zilla 4000 amp controller built by Otmar Ebenhoech, 13-inch GE Motor built by Dennis Berube. Bike constructed by Orange County Choppers as featured in the Lawless Bike Episode.